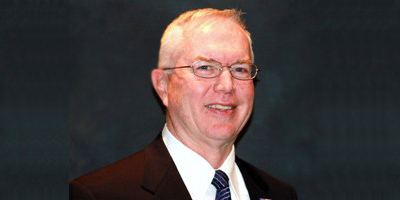 BG(US Army-Ret) Gil Harper has over 40 years executive experience in logistics and supply chain management in the military and civilian industry; 13 years of which was outside the United States. Gil retired from the US Army as Commanding General, US Army Transportation Center. He commanded a Group in DESERT STORM and RESTORE HOPE (Somalia) and served on the Joint and Army Staffs. In 2000, Gil joined Penguin Group (USA) and successfully turned-around a major supply chain problem, improving service and reducing cost each year. In 2004 he resolved a supply chain disaster as Managing Director, Pearson Shared Services-UK. He has successfully managed installation of warehouse management systems, automation of warehouses, customer service, and other management applications. Gil was a National Security Fellow, JFK School of Government, Harvard University. He has masters' degrees in Operations Research and Mathematics from Stanford University and a bachelor's degree from the U.S. Military Academy, West Point. Gil is on the boards of Streit USA Armoring and Shutter Up Security Systems. His philanthropic activities include Board Membership for Patriots of the Lowcountry and the Harbour Club and President, West Point Society of Charleston.